Handy for wiping out any drive that is mounted to the filesystem. Including any USB and network devices. It's the nuclear option. Not really, it can't get rid of open files I believe. It's just a reckless activity from which no good can come . I'd use "dd " with "if=/dev/zero" or "if=/dev/random" to wipe an unmounted disk. Maybe we need a separate linux suicide thread. BigYin wrote: Following on from my original How To on the Tesco Value kettle the design of the value kettle sold by Tesco has changed. I recently had to replace the elements in my boiler and so that seemed like the perfect opportunity to revamp the How To. If you read the first guide there was a bit of wiring required, but the good news with the new kettle is the wiring is restricted to the power supply - thankyou Tesco!! 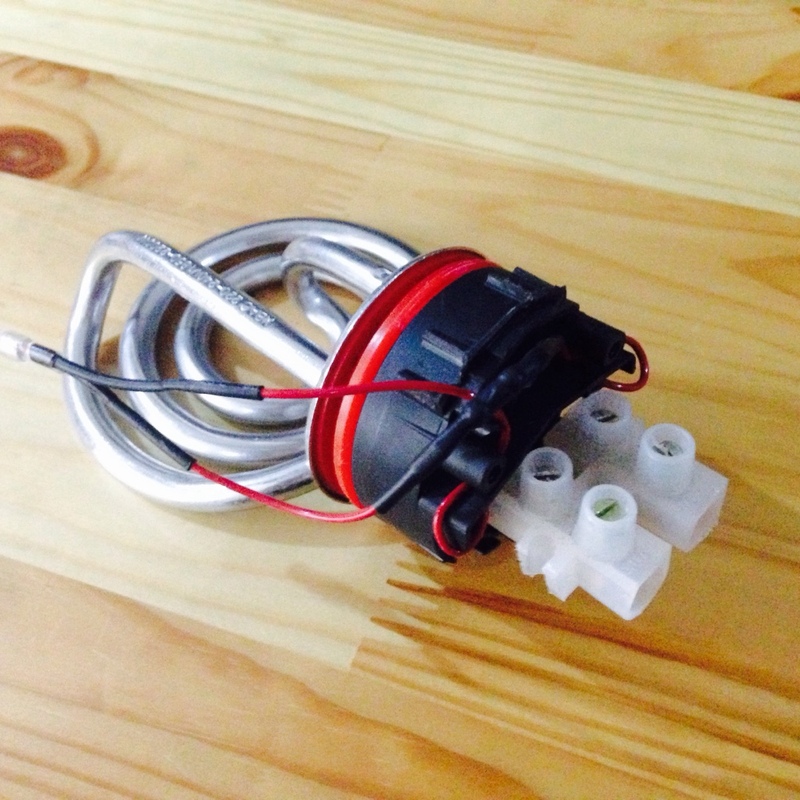 So, this guide is all about how to butcher a perfectly good and cheap (£6 at the time of writing) kettle and use the kettle element and power lead in your home brew boiler. ** DISCLAIMER ** Electricity and water are a DANGEROUS mix - Please understand a few important points - I - and the Forum - will NOT be held responsible if you electrocute yourself!!! Take your time, take care, never leave your boiler unattended when it's on - if it boils over it could create a dangerous short!!!! Then pull the base of the handle away from the body of the kettle, and it should unclip, removing the outer part of the handle and the lid. Then insert a screwdriver between the switch and the housing, give a little twist and remove the switch. then manoeuvre the wires through the cuts - this took a little bit of bending of the plastic rather than placing any stress on the thin wires. pop the silicone seal out of the kettle body, and that's all the useful bits removed from the carcass of the kettle. The frame that held the switch (and has a bi-metalic disc that is meant to switch the kettle off once it reaches the boil) can be removed with a hacksaw. Now, it's up to you how to connect the power cable to the element socket. I prefer option 1 - solder them on - it's the cheapest (assuming you already have a suitable soldering iron!) and it's pretty permanent. Bend up the little plate so it'll still be touching the back of the element - this needs to be bent out of shape, or it will 'pop' back at boiling point and turn the element off. 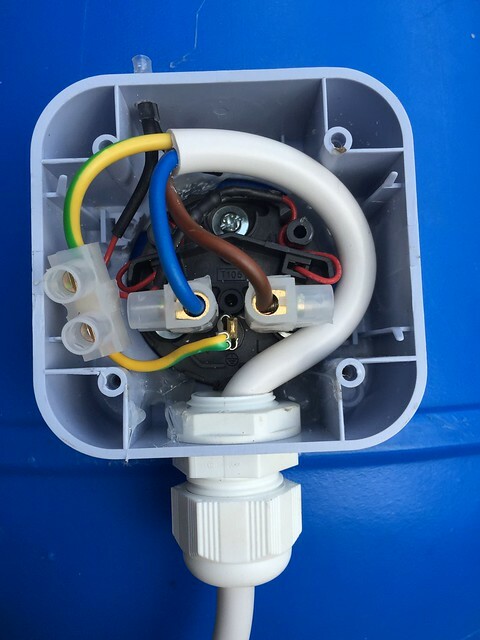 Fit the silicon seal into the element hole, offer up the element from inside the boiler and attach the socket to it with the 3 screws. Fill the boiler with cold water and check for leaks. If you see any leaks, empty the boiler, check the hole is smooth, and make sure you tighten up the element properly. And finally, test! 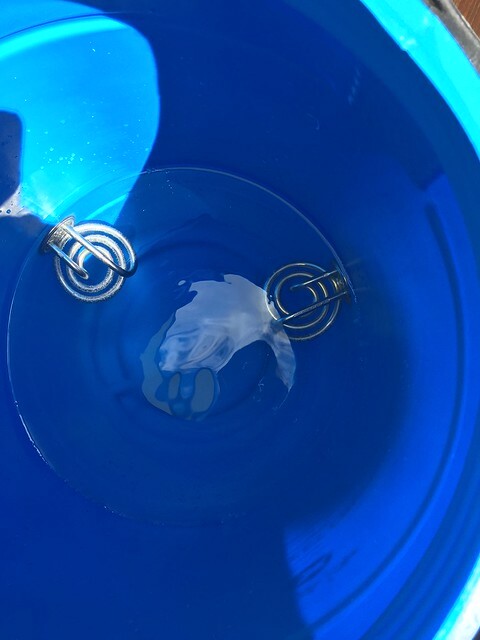 - Make sure not only that it will reach the boil, but also that it'll maintain it - if it cuts out it's most likely that pesky little metal disc not bent up enough. Can no longer see these pics was going to buy couple Argos kettles today anyone done these recently and got a nice guide ? Argos ones, yes - not sure if they're the same as the Tesco ones so apologies if we're hijacking the thread. This seems to be reasonably accurate https://www.youtube.com/watch?v=PZDupTFTOWQ - the model has changed slightly, but the disassembly appears to be the same. 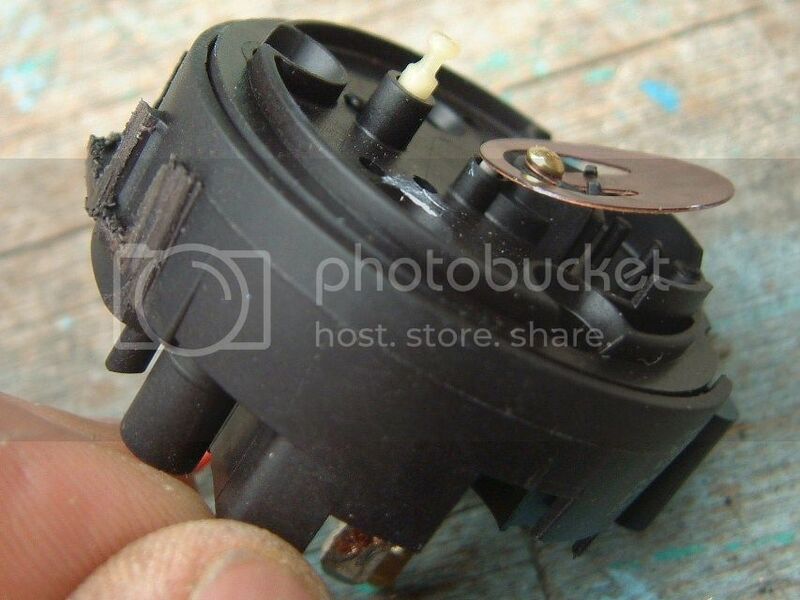 I tend to open up the electrics to remove all the failsafes (2 x thermostatic discs and related cut outs), because I'm a control freak and want to know if I'm putting power in it's getting to the element. I built a backup boiler this weekend and thanks to this guide it worked out well. I measured the kettle hole which is 40mm so used a holesaw to cut one that size. I kept as much as possible and only removed the boil cutout disc from the switch mechanism. Tested for leaks and did a quick heating check with no issues. If it cuts out when boiling I'll remove the other disc. Just a tap to fit and some shrouds. One thing I've found quite important is a dab of copper grease (or similar) on the three retaining screws, and possibly replacing them for better quality screws. If you use it as a boiler, the only good way to clean those tight coils is to remove them. They get stuck fast and the poor quality heads fail, I had to drill mine out. Also it's good to snip the cutout off where it touches the little plunger. Originally I just bent it back but over time it sprang forward again .......... very annoying brew that day. I have a quick tip to add to this.... When connecting these up with kettle plugs, they very often get hot. Sometimes, this is due to arcing (electricity jumping through the air) with gives a lot of heat, even to the point of the plug melting. Very often this is caused by bad connections. I found a very cheap way of making a rock solid connection without hacking the element. Use a 30a connection block. If you get the right size, the screws and opposite side of the prongs make excellent contact. Is rock steady and no arcing. Tested successfully for prolonged use. Usual disclaimer applies - take responsibility for your own safety!!! Check what you are doing is safe, don't rely on this alone! Earth connection as other designs, or to connecting metal on pot. I've also built a neat shroud to wrap round all of this, may post with installed. I've had no issues with a standard (hot) IEC cable for many many years, why the need for permanent connections? I suppose kettle cables are fine, but it means that you have to buy a hi temp connector, and they sometimes arc and overheat (if the contact is corroded). Also, I'll be brewing outside, and want to silicon seal my connection in against splashes spray from the rain etc. These IP68 connectors are completely sealed and give me a more comfortable feeling that a with kettle plug, but there's no major requirement, I suppose. 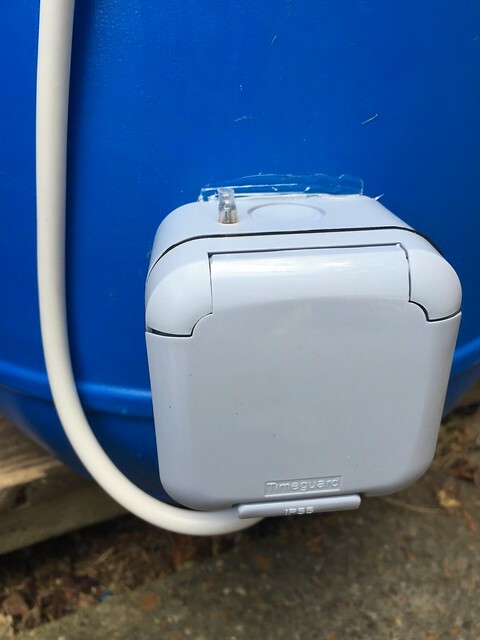 Also, I hate pushing and pulling on the back of the element too much, the inline connector relieves this stress on a plastic bucket (though I'm currently building stainless anyway), but again, I think its just the rock solid feel of this connection I prefer. 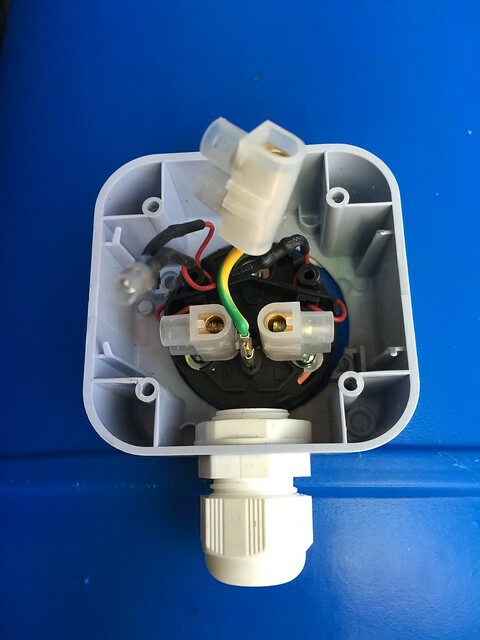 I've got a Bruheat plastic bucket from an old brewery I had and tbh its never had trouble, but I have seen a few overheating kettle plugs on the forums (probably wrong spec actually). I like that connection method! Looks solid. Nice job. Where do you get the casing from? It was an IP55 outdoor socket from Wilcos. I think it was £2.49 and has been in my 'drawer' of stuff for a while. AltonAnt wrote: It was an IP55 outdoor socket from Wilcos. I think it was £2.49 and has been in my 'drawer' of stuff for a while. Awesome. Thanks. May have to go get some, they look good. AltonAnt wrote: I built a backup boiler this weekend and thanks to this guide it worked out well. What are the other pipes at the bottom? Some sort of cooling rig? And if a standard FV can get a bit soft, what exactly are these bins called (for searching) and where can they be sourced? 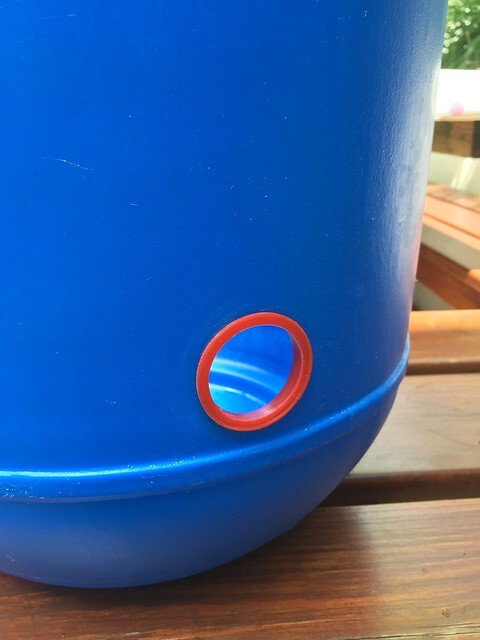 MrBoy wrote: What are the other pipes at the bottom? Some sort of cooling rig? Ask at your local Asian restaurant as the local ones just throw these 'chutney barrels' away. Thing like Mango chutney are supplied in these but try to avoid the lime pickle ones as you'll never remove the smell. When I had this it was from having lots of crud stuck to it. Are you cleaning it thoroughly after each brew? if you still have a small white plastic pin sticking out of the back of the element grab some pliers and pull it out. scrubbing back to shiney metal asap post boil makes life easier, if caught early enough a few minutes of elbow grease will remove mm's of built up crud quickly, if left too long it wll soon harden rock hard requiering something like a citric acid soak to remove..